Verplanck Colvin first named this peak in honor of Governer DeeWitt Clinton, builder of the Erie Canal. Now, the mountain is named after Robert Marshall. He was an American Forester, writer, wilderness activist and one of the first Adirondack forty-sixers. After Robert marshall's death in 1939, the Adirondack forty-sixers successfully petitioned the New York State Board of Geographic Names to change the name to Mount Marshall. 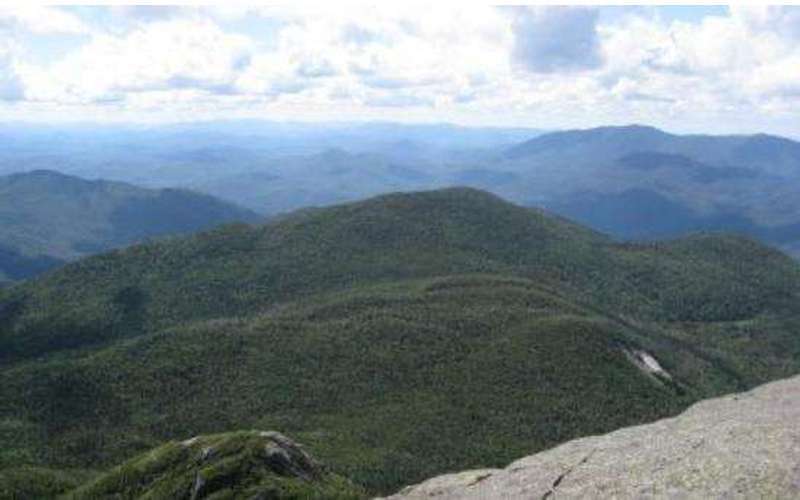 The most popular route for this hike leaves the Cold Brook Pass Trail at the west end of the flat area at the height of land between Mount Marshall and Iroquois Peak. The junction is marked with a cairn. Very rough for its entire length, the path climbs approximately 0.3 miles over one intermediate peak, drops down across the head of Herbert Brook and then goes on to the summit at 0.7 miles. The hike up Mount Marshall is about 14 miles and will take 11 hours to hike. Our experts rank it a 6 on the difficulty scale.